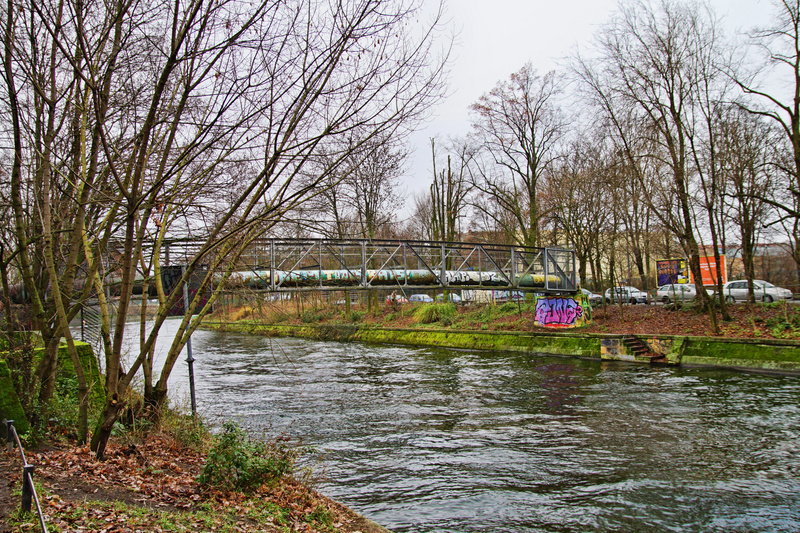 A bit further East on the Landwehr canal, there is a curious metal bridge with a pipe going across. 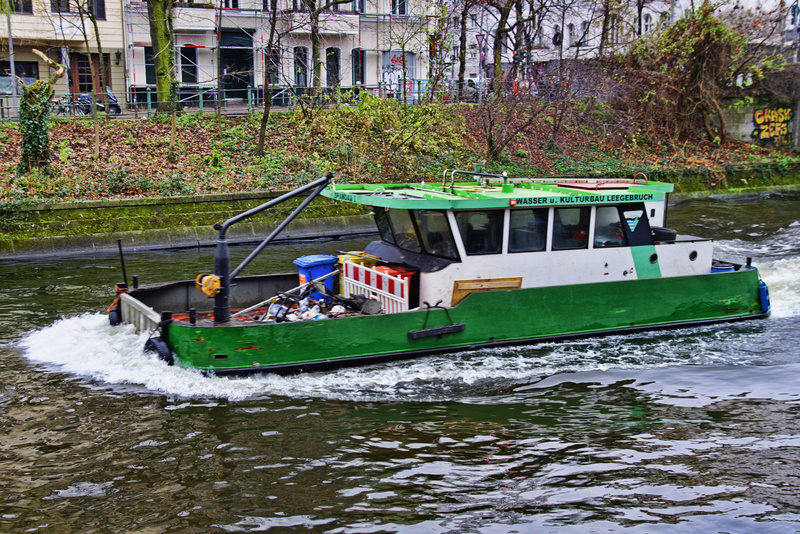 To my surprise, there was actually a boat on the Landwehr canal! 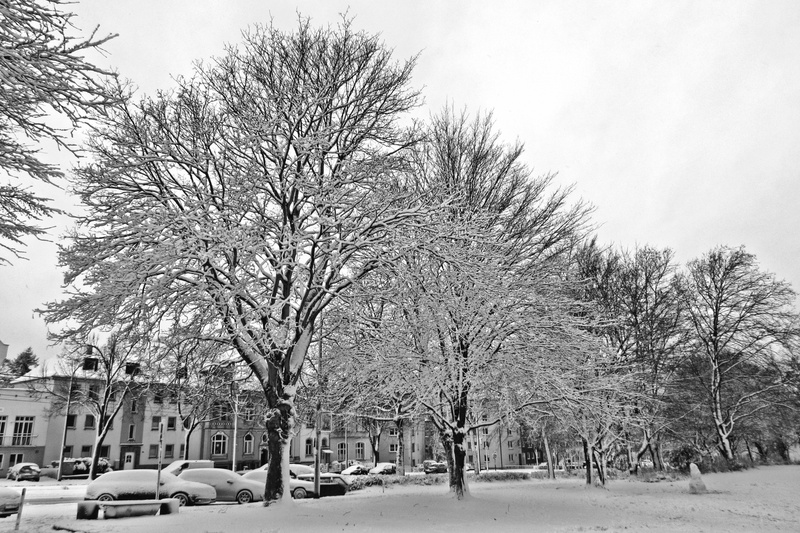 It had stopped snowing a bit later when I was on the way back home, so I took a few more photos.